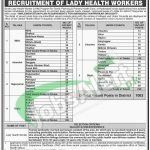 Here in the following you will get Lady Health Workers Jobs in Sindh 2017 LHWS Program Latest. Applications are being offered from Sindh Lady Health Worker Program for Family Planning & Primary Healthcare at Hyderabad is seeking to appoint the female applicants for the post of (Lady Health Worker) is the post which needs to be filled by the applicants as soon as possible in District Tharparkar at Mithi under "Implementation Plan Requirements for Managing Tharparkar Drought". The appointment will be made on contract basis. As, the post is before you now the eligibility criteria which is required include 8 years of schooling or matric pass applicants are required to apply and who should be he permanent resident of the said district/uni0n councils as mentioned in the advertisement image. Performance, services in community development will be preferred and should be willing to carry out services from her home which will be designated a health house. Age limit should be 25-45 years and (18 years if she is married). Married females are welcome to apply. Now, I will let you know about it's further details below. Applications accompanied with copies of educational and experience certificates, CNIC, Domicile and 3 recent passport size photographs should reach at the said address. Last date for applying is 15th October 2017. Number of seats can be increased or decreased. 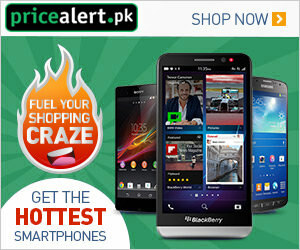 Applicants should possess the domicile of Tharparkar are eligible to apply. Address: Office of the District Health Officer, Tharparkar.